A while back, whilst rambling around the intertubes in search of records, I happened upon the 45 you see before you today. When I zeroed in and gave it a closer look, I was surprised to discover (as I’m sure many were) that it wasn’t a US release of Beverley (Martyn) doing ‘Where the Good Times Are’ (released on Deram and featured here a while back) but in fact a contemporaneous cover by an American singer with a similar name. The song is – of course – the same, but the arrangement is a little it straighter (no Jimmy Page guitar) yet oddly (and cool-ly) wandering into Northern Soul territory. This is not to suggest that this is in any way a “soul” record, but that it abuts the poppy edges of the Northern Soul canon in a way that makes it danceable. Form what I have been able to discover about Beverly Wright, she was an R&B, folk and pop singer from New Jersey who recorded for a variety of labels (Groove, United Artists, 20th Century and Audio Fidelity) from the mid-50s up until about 1970 as well as doing some acting on TV. Interestingly, her earliest 45, ‘Shake Till I’m Shook’ is a solid R&B effort and according to a 1962 Billboard article she was signed to Chess and was supposed to have recorded an album for the label (she seems to have recorded one 45 for Chess as ‘Beverley Ann Wright’). 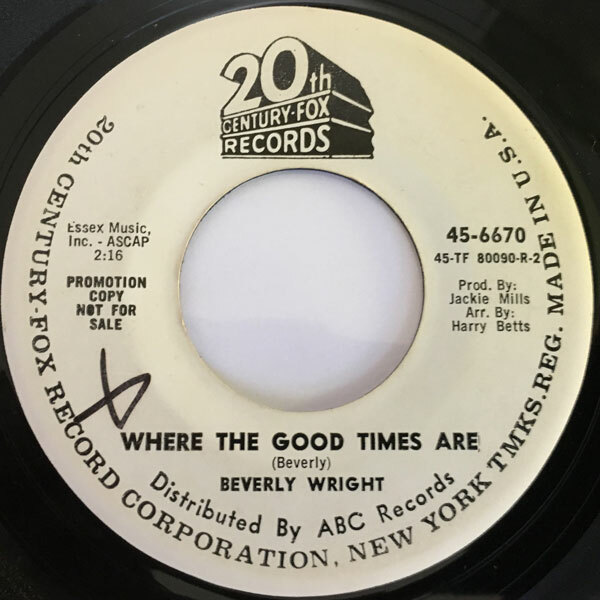 That said, her version of ‘Where the Good Times Are’ is very cool, and Wright appears to be another one of those singers that bounced around, between labels and musical styles, never really making a significant dent in any one place. I hope you dig the record, and I’ll see you all next week. It was a very busy week indeed, so I decided to dip into the archives and repost a favorite mix. Iron Leg Digital Trip #21, The Real Alternative was first posted in this space nine (?!?) years ago. I tried to use it to draw a picture of what my friends and I were listening to in the 80s, at least the stuff that fell outside of the explicitly retro garage/mod stuff we dug. So pull down the ones and zeros and lend me your ears. The final track in this mix is a bit of a departure. I don’t know if the Adventures debut LP (called ‘The Adventures’ in the UK and ‘Theodore and Friends’ in the US) was ever reissued on CD, but if you can find a copy on vinyl, do yourself a favor and pick it up. They subscribed to a somewhat artier angle on the whole pop thing than many of the other groups in this mix, but I always found their harmonies, synths and ringing guitar lines irresistible. ‘Another Silent Day’ is my fave track from that album. If you roll around here now and again you already know tha I hold the Buffalo Springfield above most US bands (with the marked exception of Love) of the 1960s, so when I encounter a cover of a BS tune, especially by an artists that I already dig (like Kin Vassy) I have to grab it. 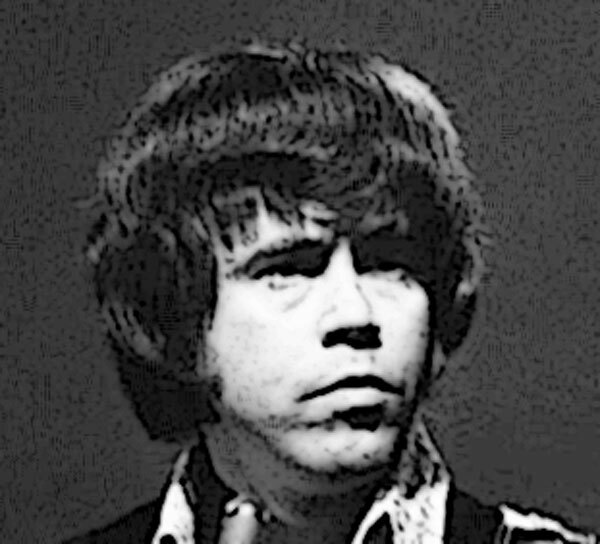 Vassy last appeared in the Funky16Corners/Iron Leg universe over at F16C with his smoking version of Mac Davis and Delaney Bramlett’s ‘Hello LA Bye Bye Birmingham’. When I posted that tune, I made sure to include Vassy’s solo 45 of the song, as well as his mind blowing, funky live version with Kenny Rogers and the First Edition (a group of which Vassy was a member). 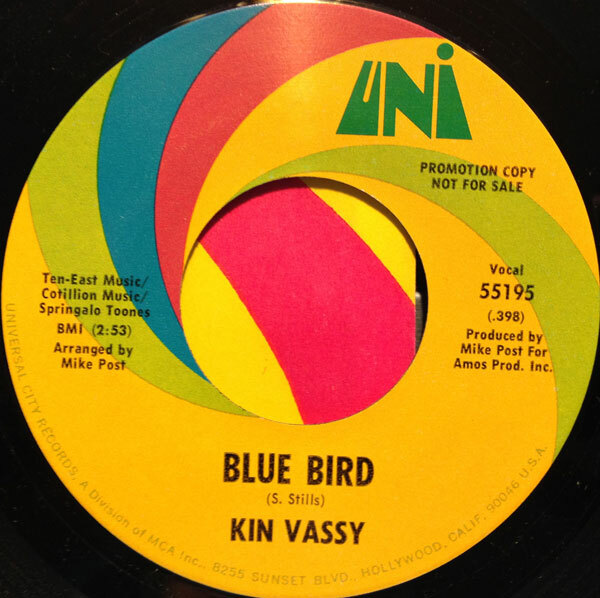 Though I can’t say for sure, my suspicion (bolstered by a number of clues) leads me to believe that Vassy’s string of solo 45s for the Uni label were released during his time with the First Edition. His cover of ‘Blue Bird’ (why he wrote it that way I do not know) was released in 1969, and produced by Mike Post. Though the arrangement is a little more conventional/pop than the BS original (as well as being truncated and decidedly less psychedelic) it is still very rocking and groovy. The horn section mixes nicely with the electric piano, and Vassy’s vocal is outstanding. He was one of the great, underrated singers of the era (he even went on to do some time in Frank Zappa’s bands!). He ended up working in Nashville as a singer/songwriter before passing away in 1994 at the age of 51. I hope you dig the cut, and I’ll see you next week. That’s right kiddies, it’s Iron Leg Radio time again! This month we start offering the backlog of new arrivals held up by a succession of special episodes, with groovy sunshine pop, psychedelia and good old rock and roll.